In the beauty blogging world, there is one brush that is talked about much more than any other: the Real Techniques Buffing Brush. I thought I'd do a little comparison post today comparing it with the Ecotools Buffing Brush. First things first, the Ecotools offering is a flat top, denser brush, compared to the lighter, ever-so-slightly tapered Real Techniques one. This means I find it provides more coverage than the Real Techniques one. Because it is flat, it can stipple the product in pretty easily, and so I have found this to work really well with my Rimmel Stay Matte mousse foundation. However, with more watery consistencies such as the L'Oreal Eau De Teint, I prefer the Real Techniques as it lightly buffs the product in without taking ages. Therefore, the Ecotools one is much nicer for thicker consistencies, whereas with thinner foundations, I'll reach for the Real Techniques Buffing Brush. It's worth mentioning that I've had both brushes for *around about* the same amount of time, and the Real Techniques has started to shed hair whereas the Ecotools one hasn't. I also think it's annoying how you can only buy the Real Techniques one in a set. 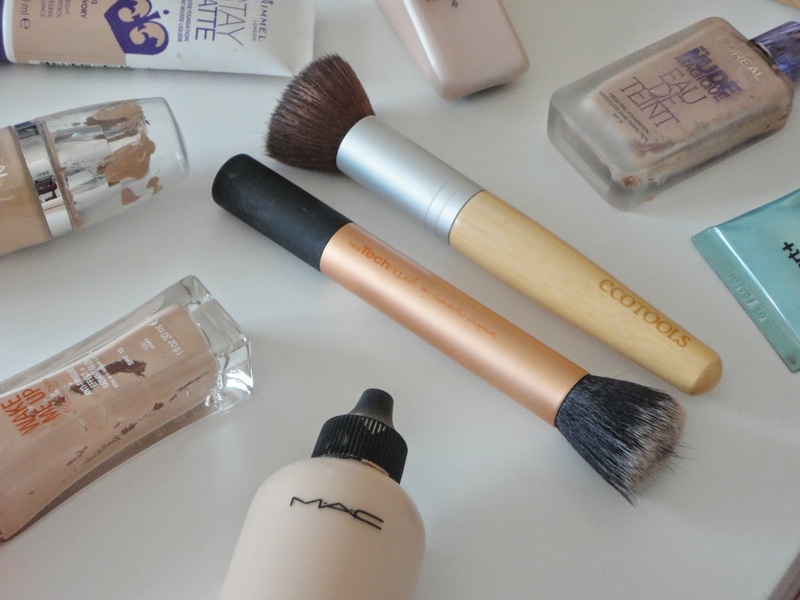 However, there is a reason that it is raved about so much, as it provides a really flawless finish and doesn't make any foundation look cakey as it blends so well with your skin. So, I think it's worth having both in your collection if you're a makeup hoarder like myself, but if you tend to stick to the same types of foundation, I think you could get away with one.